This weekend’s plethora of Doctor Who announcements from Big Finish continues with an update on the next set of Eighth Doctor boxsets – The Doom Coalition. Now we know who Helen Sinclair is an have much else to contemplate. 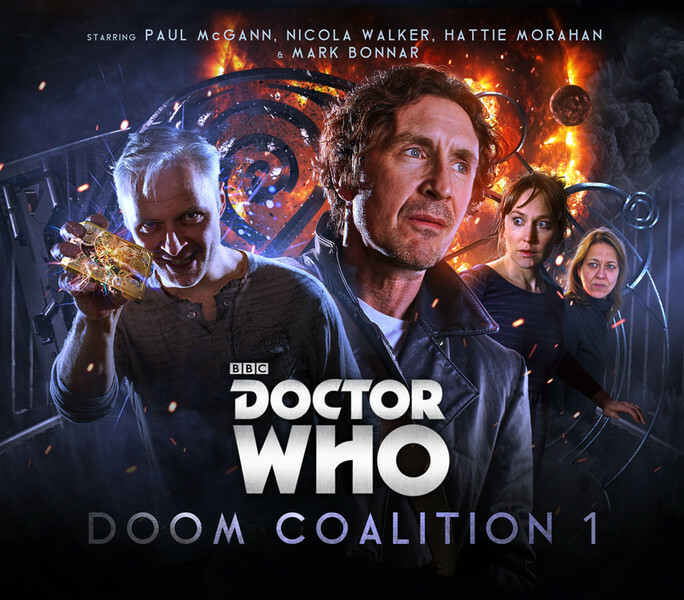 The Big Finish news item is here: DOCTOR WHO: DOOM COALITION – COMING OCTOBER 2015 and more specifics on the first release are on its product page. This is post-Dark Eyes and Nicola Walker is back as Liv, at least for this set. 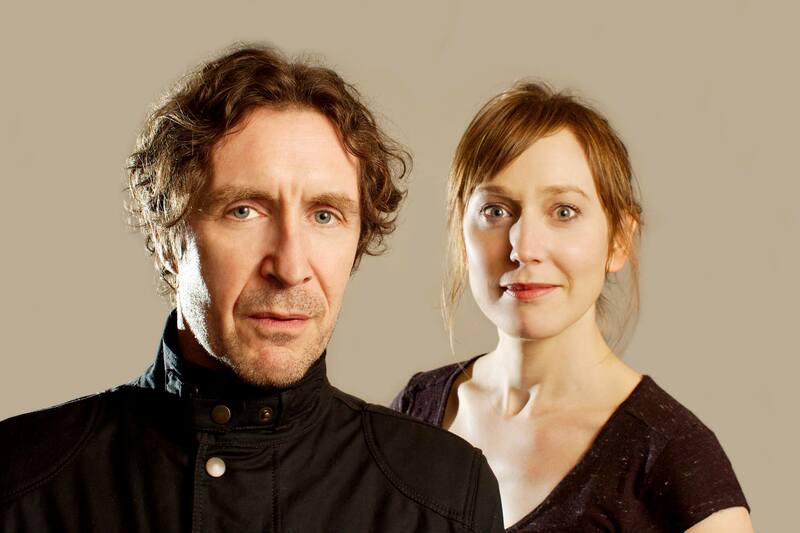 Hattie Morahan plays new companion Helen Sinclair (the actress did star in The Bletchley Circle with Paul McGann). The picture to the left is from the Big Finish FaceBook page. This promise much and fingers crossed it delivers. There are no signs of Daleks, instead a new enemy, The Eleven. This is a much regenerated Time Lord villain (another one!) imprisoned by the Seventh Doctor on Gallifrey and now free to wreak terror. He is described as an insane sociopath – I look forward to comparisons with various incarnations of The Master. The writers for the first of what will be four linked boxsets are Matt Fitton, John Dorney, Marc Platt and the, as yet, unknown Edward Collier. More on the last of these as I find it out. First release is October 2015, after Big Finish Day 7, then every six months. Will there be more to this? A main range story for The Eleven and the Seventh Doctor perhaps? Stay tuned! ← Who is Helen Sinclair?